Somewhere in the universe far outside our galaxy, a pair of black holes smashed into each other with such force that it sent ripples through the fabric of space time. The waves travelled outward from the epicentre of that cosmic cataclysm for more than a billion years, travelling at the speed of light. Einstein predicted these gravitational waves – well, not these ones exactly, but ones like them – 100 years ago in his theory of general relativity, and scientists finally detected them for the first time last year as they passed Earth. 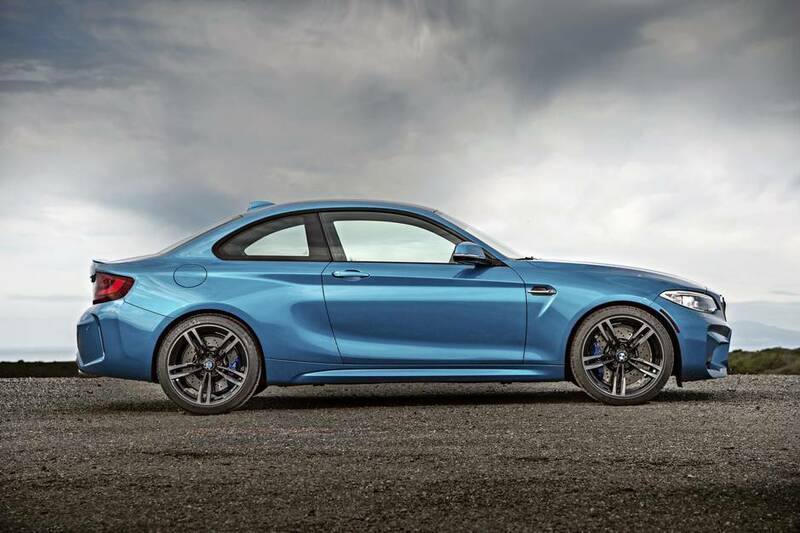 We’ve been waiting a long time for BMW’s M2. As scientists geeked out about gravity waves, gearheads and BMW aficionados geeked out about this new little coupe, for a couple of reasons. There’s something about small cars with big engines that’s irresistible. They’re the Davids of the car world, challenging the Goliaths of the sports car establishment. 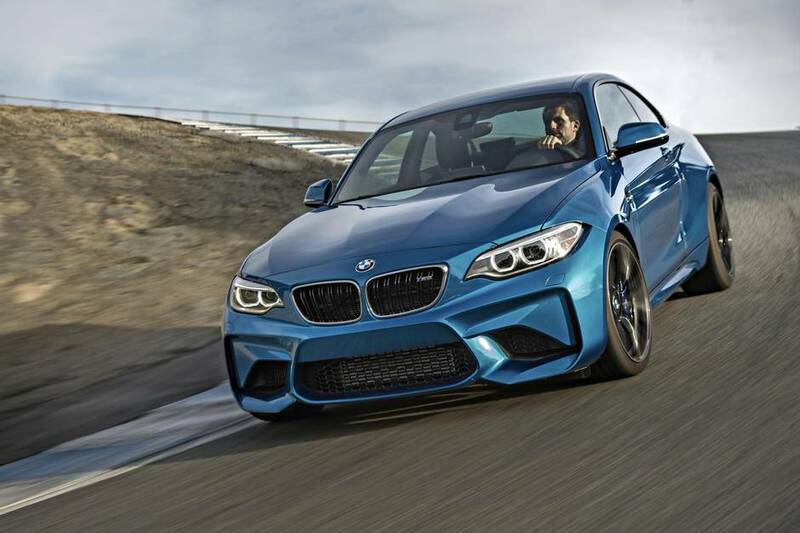 They are the underdogs, and there’s a new wave of them flooding the market: the Mercedes CLA AMG, the Ford Focus RS, the Audi S3 and the VW Golf R.
The overall critical reception to the new BMW M3 and M4 was lukewarm. The M5 isn’t the obvious class leader it used to be, and BMW’s M Division keeps churning out weird crossovers and SUVs because they sell. The M2 needs to prove M hasn’t lost the plot, that it can still build the sort of small, fun machines that made it famous in the first place. The Corkscrew corner at Laguna Seca is one of the scariest corners in all of motorsport, a blind S-bend that plunges down several stories. It feels like driving off a cliff. But with each lap, the M2 just wants to go faster. It’s telling you through the steering that the front wheels could turn in harder, and you could get on the power even sooner. Every advertisement for the M2 shows the car mid-drift with clouds of smoke billowing from it rear tires. Other BMW officials warned us not to try drifting at Laguna Seca, but, well, come on. The M2 made me do it. Besides, it’s the only car among its immediate rivals which is rear-wheel drive – the purists’ choice. None of the M2’s German peers handle with such joie de vie. Through the final hairpin corner, with a quick jab of throttle, the M2 would break loose and power-slide out to the far curbing before gobbling up the main straight. On faster turns, with DSC completely off, it will oversteer, not so much you need opposite lock, but enough you can wind off lock and steer using the throttle. It is incredibly predictable and finely balanced at the limit. The clever limited-slip differential borrowed from the M3, and 343 lb-ft of torque make this kind of hooliganism possible. Issues? Well, there was a lot of road noise from the Michelin Pilot Super Sport tires. More bark and crackle from the engine in the cabin would be nice. And the lack of options is a blessing and a curse – the M2 is well equipped to start, but the dour black cabin would benefit from some lighter leather trim, which isn’t available. The $61,000 M2 is also significantly more expensive than its most obvious rival, the $51,800 Mercedes CLA AMG. But in driver’s car terms the M2 is more a match for the $59,900 Porsche Cayman or the $63,100 Shelby GT350 Mustang. The M2 has been a long time coming. It doesn’t offer a better understanding of our place in the universe, or a new way to look up into space. But then again it only took five or six years to reach us, not one billion. The M2 is the best thing M Division’s made in a generation, and the current class leader. It’s a joyful car. If you were waiting by the computer, peering deep into online message boards for any sign of its existence these past few years, you will not be disappointed. You’ll like this car if ... You’ve been waiting for it. Looks: Its size feels right for a sports car. The flared wheel arches finally make the 2 Series look great, although the hyper-aggressive bumper is an acquired taste. Can you think of any other car this small with four exhaust pipes? Interior: The cabin is mostly the same as a regular 2 Series, save for the M steering wheel and blue stitching. So, it does feel a little plastic-y for a $60,000 car, but you’re paying for performance here, not luxury. 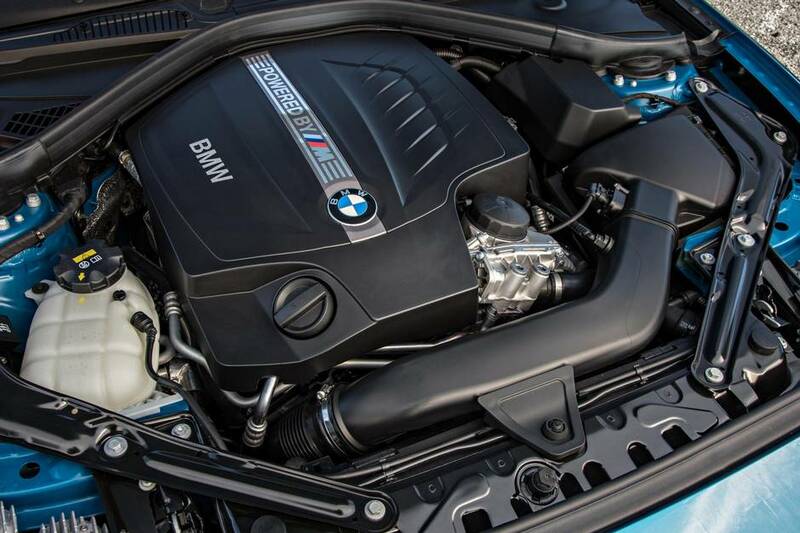 Performance: The raw numbers are close to M3 territory: 365 hp, 343 lb-ft of torque, and 0-100 km/h in 4.3 seconds (with optional $3,900 automatic transmission). The littlest M borrows the M3’s aluminum axles, but not its straight-six. The motor here is a further development of the one found in the M235i. Technology: Showboats rejoice! You can control a GoPro camera from the car’s iDrive system, while recording your lap times, and post it all to Facebook. Your friends will pretend to care. 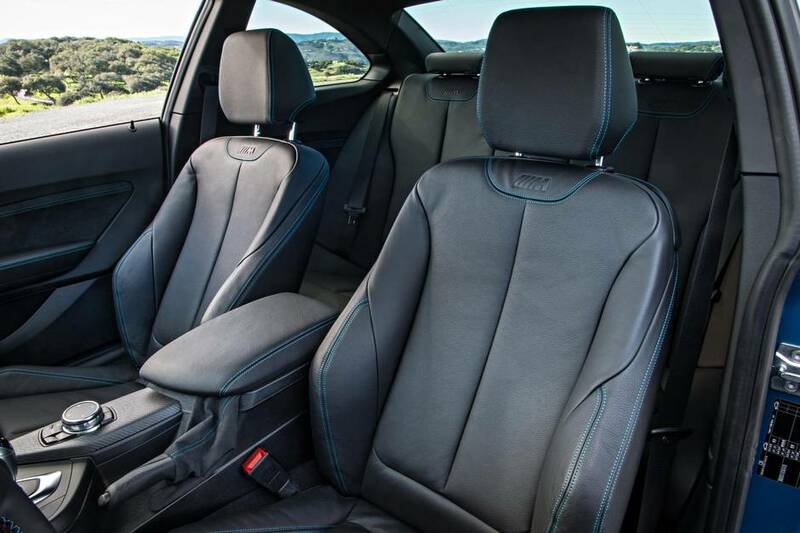 Cargo: The rear seats are fine for kids or close friends. The trunk is spacious but it’s not a hatchback, so not ideal if you’re moving to a new condo. The best M car in a generation, and the best car in class.